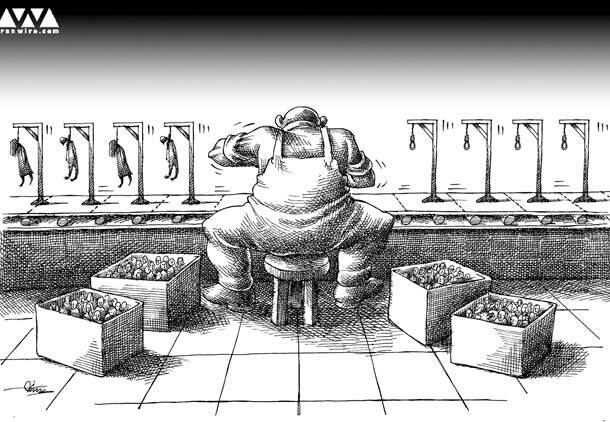 From October 2012 to October 2013, there were a total of 537 executions; the Iranian government are responsible for the highest number of executions per capita, placing China, who has an approximate populace of 1.2 billion more than Iran, in second place in the ‘executions grand prix’. The United Nations General Assembly passed another resolution on the situation of human rights in Iran. The Resolution (UN document A/C.3/68/L.57) was passed on the 1 November, 2013, with a vote of 83 in favor, 36 against, and 62 abstentions. Guided by the two most prominent international human rights law treaties, the Universal Declaration of Human Rights, and the International Covenant on Civil and Political Rights (ICCPR), the Resolution follows a list of resolutions against Iran for its various systematic human rights violations since its inception following the 1979 revolution. The 45 paragraph Resolution highlights issues of concern, ranging from the denial of the right to fair trial, to the right to life and freedom from torture. Paragraph 5 expressed “deep concern” at the continued practice of child executions and of those who were found guilty of an offence committed when under the age of 18. Article 6 of the ICCPR prohibits the execution of people for crimes committed when under the age of 18, as does Article 37 of the Convention on the Rights of the Child. The latest case of a minor sentenced to death in Iran was that of a 16 year old, issued in October this year. 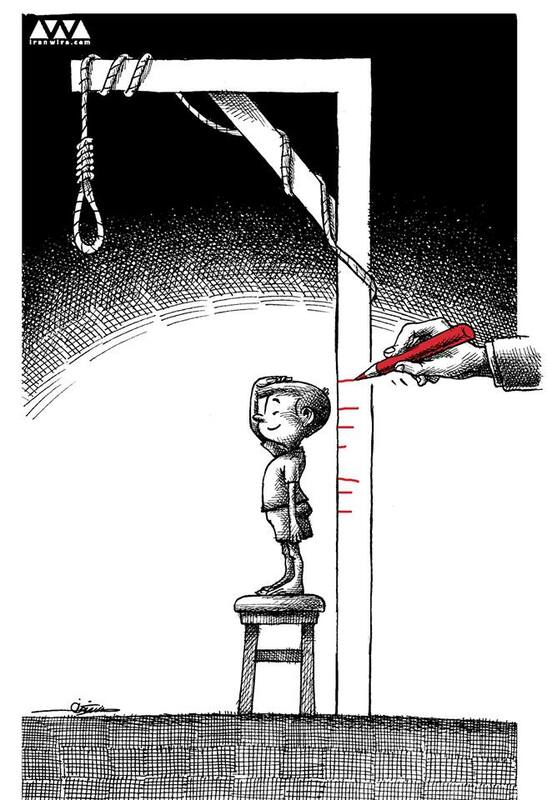 Iran has an exhaustive record of detaining minors and waiting for their 18th birthday in order to carry out the executions, which often takes place in public. From October 2012 to October 2013, there were a total of 537 executions; the Iranian government are responsible for the highest number of executions per capita, placing China, who has an approximate populace of 1.2 billion more than Iran, in second place in the ‘executions grand prix’. The Resolution also expressed “deep concern at the pervasive gender inequality”, whereby women are discriminated against in law and in practice. Special Rapporteurs Radhika Coomaraswsamy reported that the practice of Iran permits a man to murder his wife if he found her being unfaithful; however, a woman would be charged with murder and executed if she killed her unfaithful husband. The Civil Code of Iran strips women of their autonomy, subjecting them to the control of their husband. Over 38 million Iranians are living below the poverty line, with inflation rates reaching 40%; people are taking drastic measures in order to survive. Special Rapporteur Yakin Erturk reported a 19 year old girl who was forced into prostitution by her mother. The teenager had the mental age of an 8 year old. However, the Iranian authorities disregarded the evidence supporting the defence that she was not of sound mind and that she had been exploited by her mother, and subsequently sentenced her to death by stoning. Stoning is considered a very heinous form of torture, as confirmed by the UN Human Rights Committee, as it causes death by prolonged severe physical and mental suffering. Paragraph 5 also expressed “deep concern” at the ongoing acts of torture practiced by the Iranian authorities; paragraph 6 called for the abolition of stoning. The key international legal instrument protecting the rights of women is the Convention on the Elimination of all forms of Discrimination Against Women, which Iran has persistently refused to ratify. 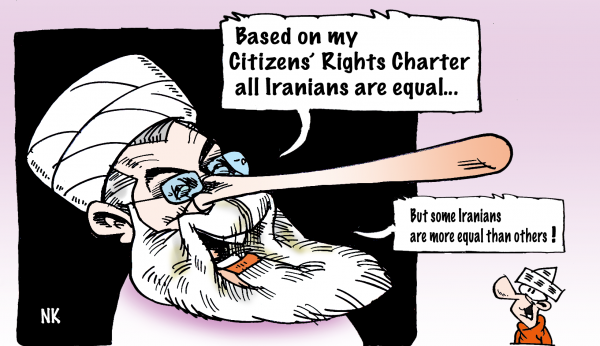 Despite Iran’s attitude towards women’s rights, the State has gained a seat on the UN Commission on the Status of Women. Paragraph 11 of the Resolution conveys that the Iranian government has not co-operated with UN human rights officials for the last eight years; with a more disturbing find in paragraph 12 that those who have been found co-operating with UN human rights mechanisms and representatives have been met with fierce reprisals by the authorities. Over the years, the United Nations has demonstrated the international community’s softer line of approach to the human rights situation than to the issue of uranium enrichment. The powers within the international community are more intent on directing their thunder towards the Iranian nuclear weapons debacle, imposing crippling economic sanctions that heavily affect the impoverished civilian population, and not the wealthy Iranian government. Protecting and promoting human rights, especially in regions where it is constantly disregarded should be accorded with the urgency it deserves; as Mary Robinson – the former UN High Commissioner for Human Rights – once said “Today’s human rights abuses are the cause of tomorrow’s conflicts”. In the meantime, the UN General Assembly will ‘continue its examination of the situation of human rights’ in Iran at its 69th Session in 2014.